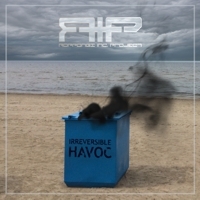 �irreversible� and �havoc� are two tracks about europe that simply belong together. they are about chaos and possible instabilities, highly topical because of the refugee crisis. maybe this is the tragedy of the human race: believing in what the leaders say is not always the best because it can lead to irreversible havoc. �if the charges of crisis are not eventually carried by those who profited from the whole party and if poverty in europe increases further and if social justice fails, then europe will fail�, said sahra wagenknecht, opposition leader in the german bundestag. those threatening but absolutely true words were sampled and reprocessed musically by roppongi inc. project. old school trance body music with hard elements hits the dancefloor at 145 respectively 140 bpm. enjoy and stay r.i.p.ed.